How are you all feeling about autumnal dressing? Also, not entirely sure what to say about my hair lately.. you know those occasional little tufts of baby hair everyone gets? I seem to have sprouted an ENTIRE fresh head's worth.. I'm looking slightly reminiscent of The Weetos Man! Necklace & Hand Chain : c/o Rock N' Rose. 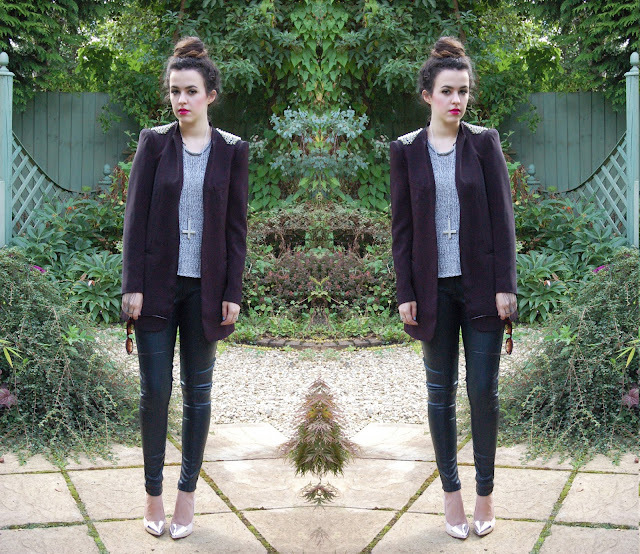 Blazer (mine's a size 'L' for an oversized look)/ Shoes : ZARA. Top : Urban Outfitters. Trousers : Topshop. Ring : Granny's! Sunglasses : c/o eBay/Asos Marketplace. 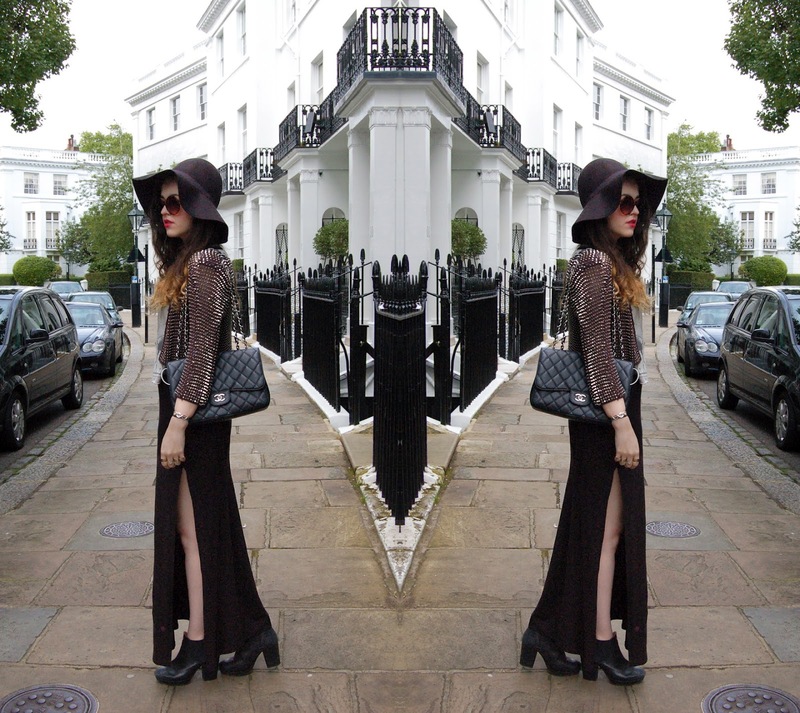 Just a quick and rather late update on what I wore on a recent trip to London with my dear friend Faye. 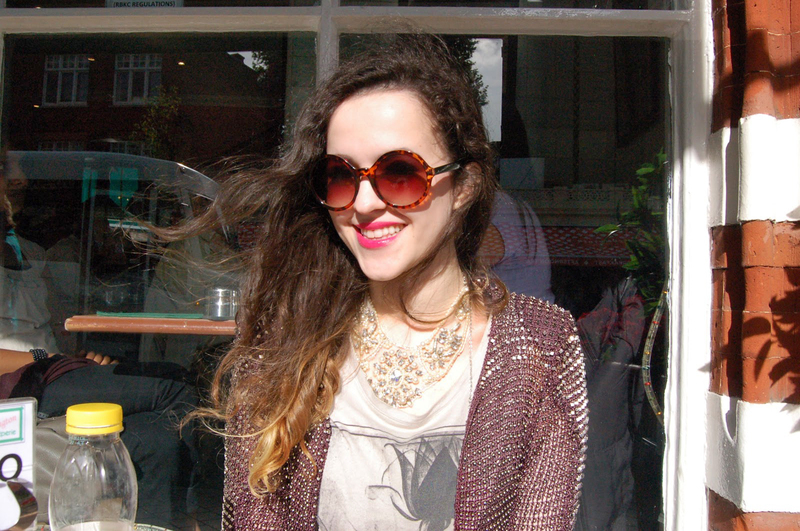 It was a beautifully sunny day, so ahoy appropriate sunglass-wearing! Usually, I'll choose appearance over comfort and practicality (how incredibly narcissistic of me to admit) but Faye and I had made plans to be out ALL day, doing lots of walking. So, after multiple last-minute outfit changes, I went for a black jersey maxi dress, embellished necklace, beaded jacket and a floppy hat that barely fits on my ginormous Mojo Jojo head. I hope everybody has been having a lovely week so far! Dress, Shoes, Jacket and Top : Topshop. Necklace : Zara. Hat : H&M (last year). Bag : Chanel. Sunglasses : Urban Outfitters.